In a Post-Koken case from back in December, 2016 entitled Colman v. Malave and State Farm, No. 2015-CV-10242 CV (C.P. Dauph. Co. Dec. 13, 2016 Tully, J. 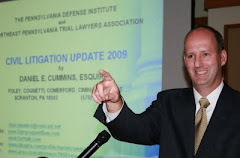 ), the court granted a tortfeasor Defendant's Preliminary Objections to the Plaintiff's Amended Complaint and transferred venue of the case to Lancaster County. According to the Opinion, the accident occurred in Lancaster County and the tortfeasor Defendants resided in Lancaster County. The court otherwise noted that there was no forum selection clause in the State Farm policy and that, in any event, the tortfeasor Defendants and the UIM carrier were not joint tortfeasors for venue purposes or otherwise. This Opinion is also interesting in its review of the law of the case doctrine given that this decision essentially overruled a prior decision of another judge on the same bench in the same case and on the same issues. Source: CLE Materials from Annual Auto Law Update Seminar by Pennsylvania Association for Justice.